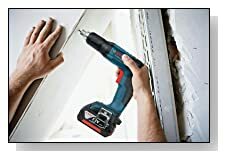 This quality drywall screwdriver combined with the 4.0 Ah battery is claimed to be able to drive up to 3,400 screws on only one battery charge. That represents a fantastic improvement. 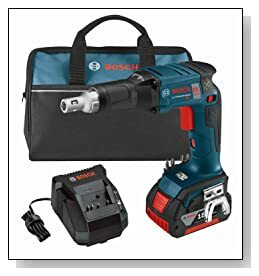 The brushless design in the Bosch designed motor is claimed to make it possible to achieve a long tool lifetime. The powerhouse battery pack is protected with the Bosch Electronic Cell Protection (ECP) against overload, overheating, and deep discharge. Workplace illumination from the integrated LED light is always useful for working in the darkest of places.